We have a set of the plastic letter magnets on our fridge and Sammie really likes making words out of the letters. I really like seeing her playing with them, but wanted to find a prettier version. 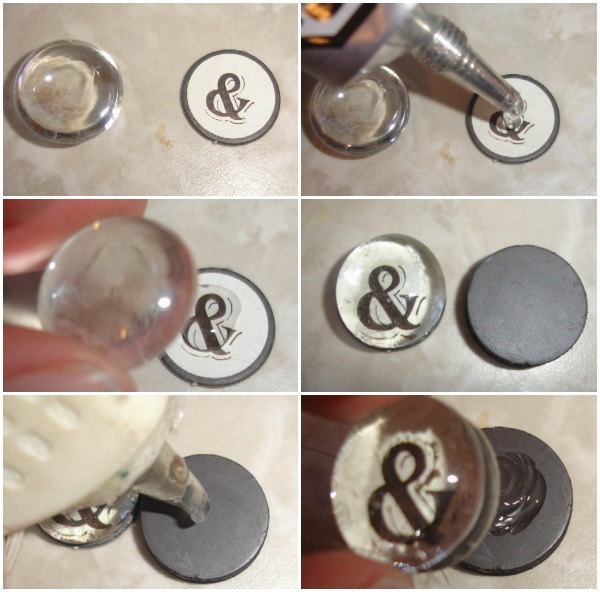 I remembered seeing a pin on pinterest for making your own marble letter magnets. I thought these would look a lot nicer on the fridge than the plastic letter ones. I have lots and lots of clear glass gems that I bought at the dollar store. 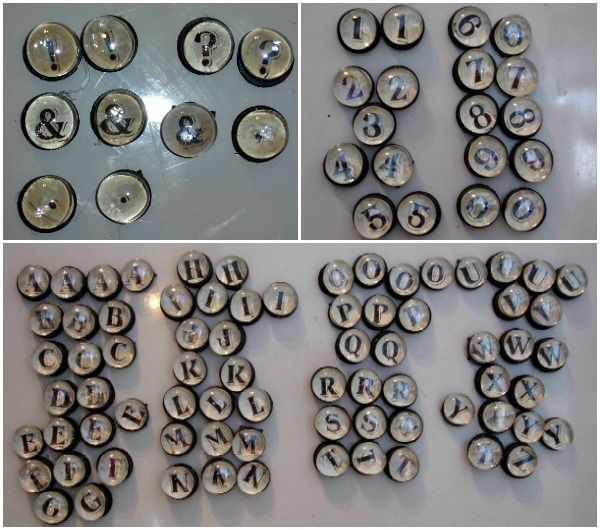 I found a set of letters, numbers and punctuations printed on little cardboard circles at a scrapbooking store. They are the perfect size to fit on the glass gems. I used E-6000 glue and a hot glue gun to attach the cardboard circles and magnets to the glass gems. I put a bit of glue onto the cardboard piece, on the letter side of the piece, then glued it to the flat side of the glass gem. I let them dry for at 24 hours. After that glue was dry, I used a glue gun to glue the magnets to the back of the cardboard piece. I made two of each of the punctuation marks, two of each number 1 – 0, except for 3 as there was only one in the package. For the letters, I made four of each vowel, three of the most used letter and two of the lesser used letters. After playing around and spelling with them, I made a couple more of each of the vowels. 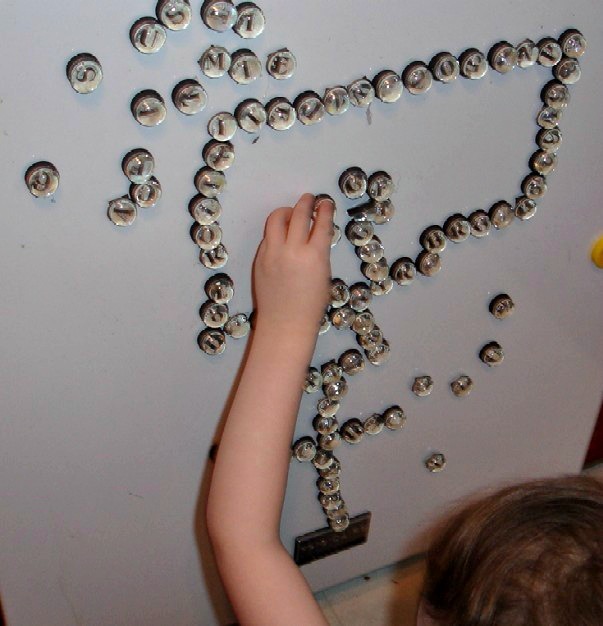 When Austin got up from his nap, he quickly started exploring the marble letter magnets. He really liked taking them off the fridge and sticking them back on again. I had to watch him very closely while he was playing with them, as he kept wanting to stick them in his mouth. Sammie was very excited to see the marble letter magnets when she got home from school and spent some time spelling words and reading words that I had made. She realized though that they were a lot more fun to make pictures with. 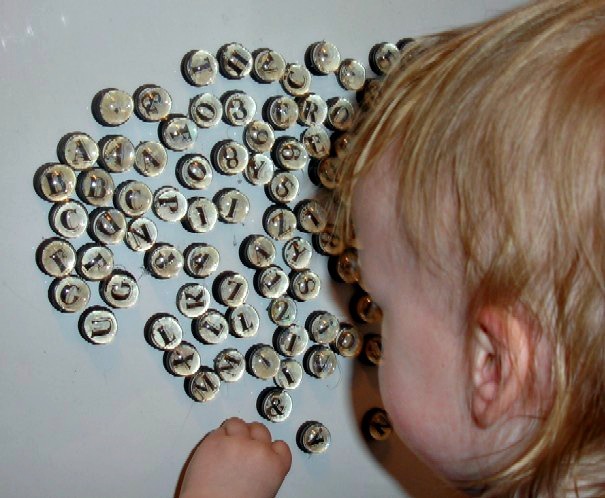 She spends a lot more time making pictures and shapes with the marble letter magnets, than she does making words with them. lol I think the font that is used for the letters is a bit tricky for her to read. I’m thinking of making some more of these marble letter magnets, only without the letters. Maybe just some pretty little pictures, or colours or just pretty paper. Editor’s Note: This post was on another site but that site is no longer live. We wanted to continue to share this tutorial so we have posted it here. 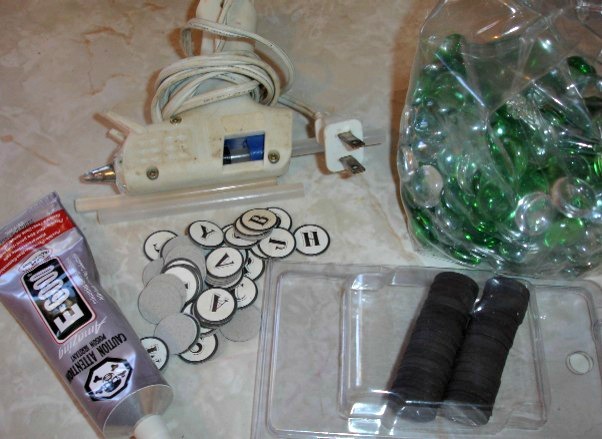 It was originally found here: http://www.twobigtwolittle.com:80/2013/01/glass-gem-marble-letter-magnets.html and was posted by Tricia on her site. If the original author would like this removed, please contact us and we will do so.